Dez Bryant and the New Orleans Saints are in negotiations on a contract, according to the NFL Network, after the three-time Pro Bowl wide receiver worked out with the team Tuesday. Fellow free-agent wide receivers Brandon Marshall and Kamar Aiken also worked out for the Saints on Tuesday, multiple media outlets reported. Bryant, 30, was released by the Dallas Cowboys in April. He has visited other teams, including the Cleveland Browns in August, but hasn't worked out a deal. New Orleans plays at Dallas on Nov. 29. 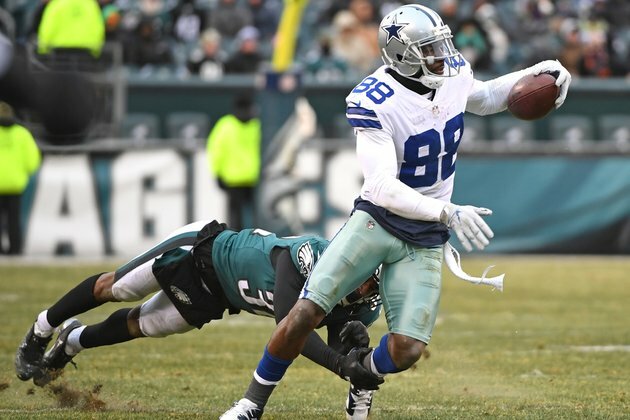 The 30-year-old Bryant had a team-leading 69 receptions for 838 yards and six touchdowns with the Cowboys in 2017. He has gone a career-long 23 regular-season games without a 100-yard performance.